Xaphan was one of the fallen angels who rebelled with Satan. He is now a demon of the 2nd rank. He has a reputation for an inventive mind and came up with the idea to set fire to Heaven before he and the others were thrown out. 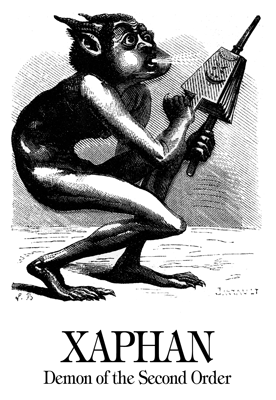 Xaphan is a demon of the second order with an inventive spirit and a bellows as an emblem. During the rebellion in heaven, he proposed to set heaven on fire. He was thrown into the abyss with the other rebels & fans the flames of the furnaces with his mouth and hands.